Prince Evans Solicitors is home to Ealing’s largest Wills, Trusts and Probate Team. We have almost 35 years worth of collective experience in delivering high quality, professional legal services relating to Wills and Estate Administration. The team has particular expertise in attending to high value estates and Inheritance Tax matters. The team is currently comprised of five full-time Solicitors who may work on your matter. Regardless of who attends to your case, they will be supervised by Ben Davies TEP, Partner and Head of Prince Evans’ Wills, Trusts and Probate team. 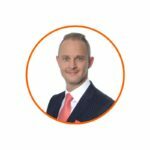 Ben joined Prince Evans in 2009 and has developed a wealth of technical knowledge and practical experience which he uses to optimal effect in his role as Head of Prince Evans’ Wills, Trusts and Probate team. His areas of expertise comprise of attending to Wills, Probate, Tax, Trusts, Powers of Attorney, Deputyship and applications to the Court of Protection and he has been a full member of STEP (Society of Trust and Estate Practitioners) since 2015 and an affiliate member of Solicitors for the Elderly (SFE) since 2017. Ben attends to the Administration of Estates in Probate of all sizes and values whether solvent or insolvent, having successfully advised on over 100 probate and estate matters, and provides clients and their families with professional, pragmatic legal advice. 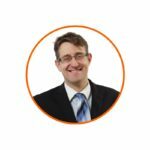 Ben advises on the preparation of complex Wills, often including trusts (discretionary, disabled and life-interest), as well as all types of Powers of Attorney. Ben also prepares applications to the Court of Protection on behalf of those wishing to be appointed as a person’s Deputy in both Property and Financial affairs, and Health and Welfare, matters. Whether his clients are Attorneys, Beneficiaries, Deputies, Donors, Executors, Testators or Trustees Ben provides a realistic yet compassionate approach to this sensitive area of the Law. After qualifying as a Solicitor Geoff spent almost a decade working in private practice in Oxfordshire. He earned a Masters degree in International Business Law in 2006 at The London Metropolitan University and joined Prince Evans in July 2013. He provides almost 20 years worth of legal experience in this area of Law. Geoff focuses on the Administration of Estates, having successfully advised on hundreds of probate and estate matters. A key area of his expertise is providing Inheritance Tax and Estate Planning advice, as well as creating bespoke Trusts, which provide clients with successful solutions whilst addressing complex tax planning matters. Geoff also prepares Wills and Powers of Attorney. Geoff places great emphasis on simultaneously taking a long-term, pragmatic view whilst keeping advice simple and straightforward. Geoff has a well-deserved reputation as a friendly and trusted professional adviser. Geoff has been a full member of STEP (Society of Trust and Estate Practitioners) since 2009, and became a member of the Association of Tax Technicians (ATT) in 2016. Huma joined Prince Evans in 2017. Her practice involves a wide range of private client matters including preparing Wills and Powers of Attorney, providing Estate and Inheritance Tax planning advice, and addressing Court of Protection matters including Deputyship. 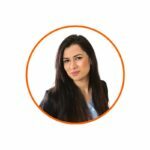 Huma attends to the Administration of Estates in Probate and has successfully advised on over 50 probate and estate matters, assisting clients and their families in resolving sensitive and often difficult situations efficiently. Huma enjoys meeting with new clients and discussing their affairs in a frank and friendly manner. 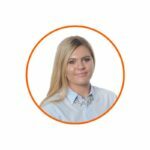 She particularly enjoys working with the elderly and vulnerable members of society, and became and affiliate member of Solicitors for the Elderly (SFE) in 2017. Munazza joined Prince Evans in 2018. She advises on simple to complex Private Client matters, including but not limited to estate planning, preparing Wills, Trusts, and Powers of Attorney, and addressing Court of Protection matters. Munazza efficiently advises and assists clients and their families in resolving difficult situations. Munazza enjoys working with her clients and has an ability to see to the heart of their concerns, and is able to provide easily understood and digestible explanations of what actions should be taken. Munazza has successfully advised on over 75 probate and estate matters since qualifying and is expected to achieve full membership of the Society of Trust and Estate Practitioners in 2019. Eve obtained a first class degree in Law at the University of Surrey and joined Prince Evans upon qualifying as a Solicitor. She undertakes all aspects of private client work and advises a broad range of clients in relation to probate and estate matters, Inheritance Tax issues, Trusts and Powers of Attorney. Eve attends to the Administration of Estates through Probate and has successfully advised on over 20 probate and estate matters. Eve provides clients and their families with a professional, personal service. She is experienced in advising a variety of clients including elderly and vulnerable individuals with clarity and sensitivity. 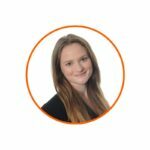 Chloe joined Prince Evans in 2014 as a member of our Admin Staff and now provides invaluable support to our Solicitors while working towards her own long term aim of qualifying as a Solicitor through the Legal Apprentice route. Chloe assists in the Administration of Estates and also on Court of Protection matters. She has a particular interest in working with vulnerable people and recently became a Dementia Friends Champion.